Beethoven came to Vienna from Bonn in the 1790s to study composition with Joseph Haydn, among others. He spent his first year in the city absorbing as much as he could from the many first-rank musicians there, and securing his name as a virtuoso pianist. His popularity as a performer gave him access to economic support, and by the time his opus 1 was published he was already a well-known presence in Vienna. It was therefore a notable event on the musical calendar when he unveiled his first symphony in 1800, and public attention to Beethoven and his works continued unabated until his death in 1827. Only a few years after his arrival in Vienna, Beethoven began to have problems with his hearing. Eventually he became completely deaf, but in these years some of his hearing still remained. In 1801, while on holiday in Heiligenstadt, he wrote a letter to his brothers in which he famously bemoaned his failing ears. Back in Vienna, he resolved single-mindedly to follow his own voice as a composer, and the third symphony became the first work in what later became known as his middle period. Beethoven’s first symphony had its premiere in 1800, in a concert where Beethoven introduced himself to Viennese audiences. In this work Beethoven experiments with the classical form in various ways, for example in the slow introductions to both the first and fourth movements. In the introduction to the first movement, Beethoven hides the key by starting the symphony with a series of chords which are remotely related to C major, the tonic key of the symphony. In the fourth movement introduction, there is no doubt about the key, but the playful and teasing atmosphere is maintained. The two middle movements are the music of a young man: restless, agile, and shimmering. The third movement is here still entitled “Menuetto” although in reality it is a scherzo, both faster and more impudent than the classical minuet. A Viennese music critic reportedly described Beethoven’s second symphony as “an injured dragon that refuses to die”. Harsh words, and difficult to understand today when one hears the music, but Beethoven is indeed a bit heavy-handed in the last two movements of the symphony, making musical jokes and mischief in a not so thoroughly elegant manner. On the other hand, he creates musical life and symphonic energy on the highest level. Beethoven introduces the scherzo for the first time, in place of the classical symphony’s minuet. The symphony is brimming with zest for life, and crackles with energy. It was performed for the first time in 1803. Beethoven’s third symphony is both bigger and darker than his two previous efforts in the genre. Each of the four movements is expanded in scale, and Beethoven digs deeper and deeper into the respective moods, heaping expressive layers one on top of the other. Contemporary critics considered the symphony to be empty contrivance, and exaggerated in its expression. The lightness of the second symphony has not completely vanished -Beethoven employs it for contrast in the first movement, and also in the scherzo of the third movement. The composer himself gave the symphony its subtitle “Eroica”, and the work was performed for the first time in 1805. Brass instruments, particularly horns, play an expanded role compared to the earlier symphonies. In terms of its mood and expression, the fourth symphony from 1807 resembles the second symphony: both are permeated by an atmosphere of lightness, of ease. Despite the fact that only a few years separate the two symphonies, Beethoven’s greater maturity is unmistakable in the fourth. Opus 60 is the least performed of the nine symphonies, and is often omitted in discussions of Beethoven’s complete symphonies. But the fact that it is sandwiched between the larger and more dramatic third and fifth symphonies is no reason to overlook the fourth’s charm and elegance. The use of original instruments in the brass and timpani on this recording was both demanding and rewarding for the musicians. For Jakob Keiding, one of the orchestra’s principal horn players, the demands were particularly acute. “There aren’t any valves on the old instruments, so in order to play in a different key we have to change a crook, which alters the length of the tube. I have to change crooks three or four times in each of the symphonies. The interesting thing is that the sound also changes in accordance with the length of the horn, and that gives an extra dimension to what is possible for us. We are able to bring out a variety of tone colours that simply isn’t possible on the modern instrument.” Trombonist Christian Schmiedescamp, whose work on the project begins with the Fifth Symphony, since Beethoven didn’t include trombones in the earlier symphonies, sheds light on another advantage that the brass players enjoy by playing on copies of old instruments: “If we play as loudly as we can, so that the instruments begin to have a proper ‘brassy’ character, we still don’t cover the rest of the orchestra. If I play that loud on a modern trombone, the balance with the rest of the orchestra is completely destroyed.” Jakob Keiding continues, “The challenge with the old instruments, among other things, is to hit the notes as securely as we do with the modern instruments. We have a fine-tuned connection between the brain and what we do with our fingers that works perfectly on our regular instruments. But that connection is no longer there, because there aren’t any valves. So we have to work really hard on the precision of the pitches and attacks, so that we get the same stability as we have on the modern horn. But we have no choice, because otherwise no one would want to hear it!” Schmiedescamp: “We are forced to listen to each other in a different way. This music has to be played like chamber music; otherwise you really don’t get anywhere. When an entire orchestra plays as if we were playing chamber music, then things start to get interesting. And on that point Lan Shui is uncompromising”. Copenhagen Phil is one of five nationally supported Danish orchestras charged collectively with bringing classical music to the whole country. It gives concerts in Copenhagen and in cities all over the island of Sjaelland. The orchestra also engages in a wide variety of activities aimed at the dissemination of classical music and culture to children and young adults, both inside and outside school. 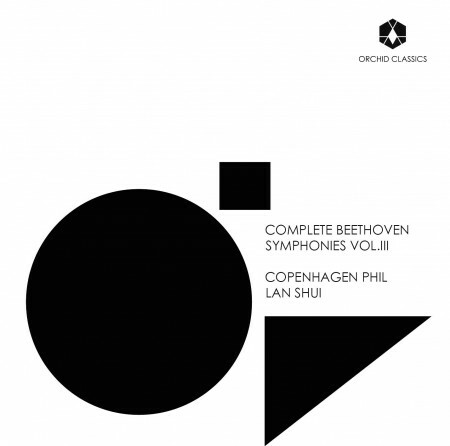 Lan Shui has been the Chief Conductor of Copenhagen Phil since 2007. Shui trained in China, making his debut on the podium with the Chinese Central Philharmonic Orchestra. He continued his studies in the United States in the 1980s, where he conducted numerous American orchestras, among them the Los Angeles Philharmonic and the Detroit Symphony Orchestra. In 1997 Shui was named Music Director of the Singapore Symphony Orchestra, which has flourished artistically and achieved international recognition under his leadership. On top of his established engagements in Copenhagen and Singapore, Shui guest conducts regularly with many of the world’s leading orchestras, collaborating with artists such as Hilary Hahn, Yo-Yo Ma and Maxim Vengerov. 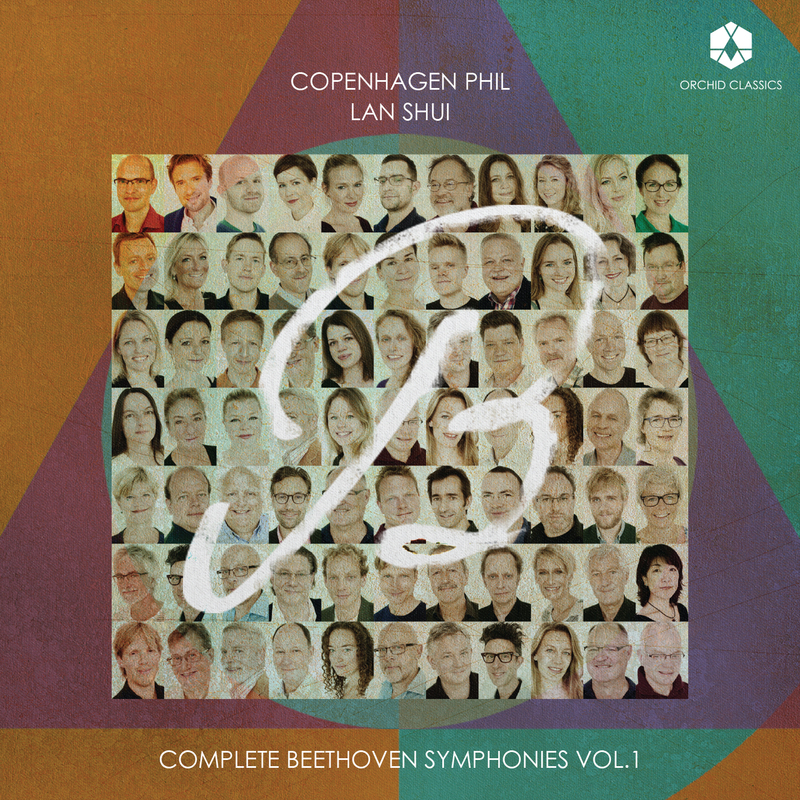 In addition to his intense work with Copenhagen Phil over a period of several years on the cycle of Beethoven Symphonies, Shui has also conducted the orchestra in works by, among others, Berlioz, Nielsen, Britten, and Mendelssohn. Lan Shui is also passionate about contemporary music, and has conducted numerous premieres around the globe. In 2013 he conducted the Danish premiere of Bent Sørensen’s Trumpet Concerto with Copenhagen Phil.